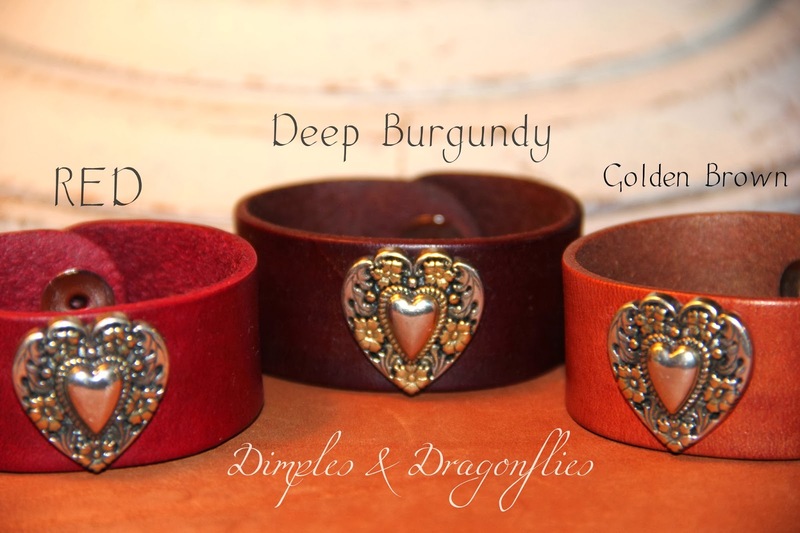 For A Best Friend Or Loved One, These Petite Handcrafted Leather Bracelets Offer A Sweet Reminder To Someone Special - Of How Much They're Loved And Cherished! 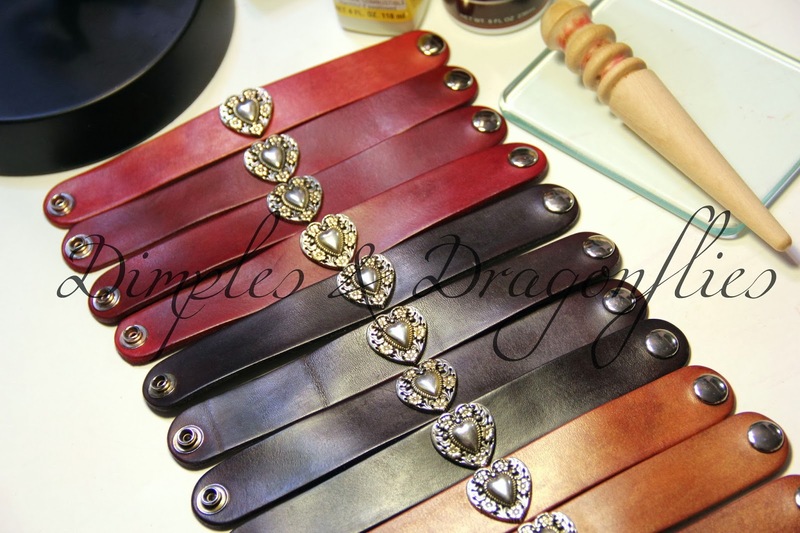 Constructed Of Top Grain Cowhide - They've All Been Hand Dyed, Dressed On All Sides, Hand Waxed and Burnished Then Adorned With A Lovely Ornate Silver And Gold Toned Heart Embellishment. 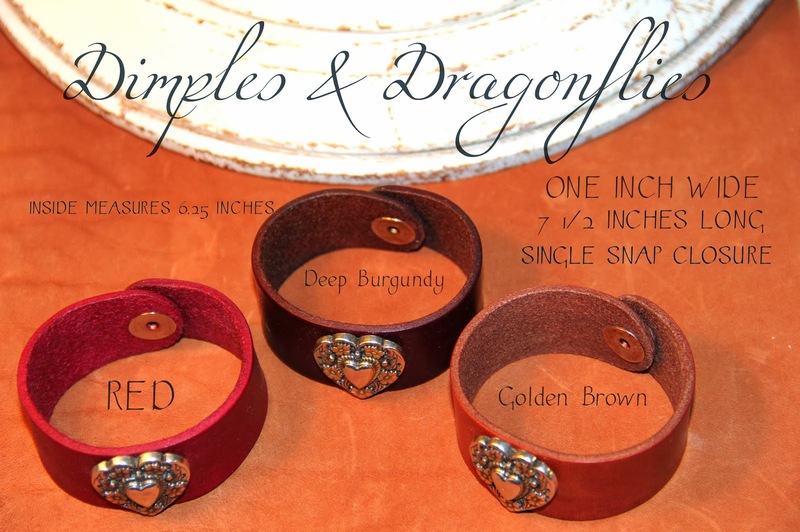 Each Measure A Feminine One Inch Wide by 7.1/2" Long - With Inside Measurements Of 6.25 Inches. A Comfortable Fit For Small To Medium Size Wrists. It's Been A Long, Cold Week Here In Middle Georgia. This Southern Girl Is Truly Ready For A Lit'l Warm Weather! Hope Everyone Enjoyed A Beautiful Valentine's Day!